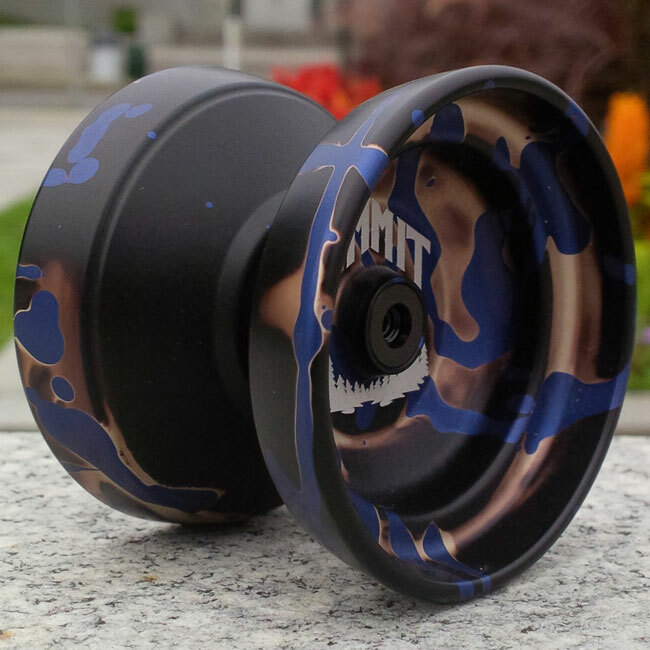 The Summit is a collaboration between One Drop and CLYW. The name references a meeting of the minds between these 2 companies, but also the way the yo-yo was designed. Over the course of 4 days One Drop and CLYW staff met in Eugene, Oregon to design, prototype and produce a new yo-yo in time for the California State yo-yo contest that weekend. After 2 rounds of prototyping, the final product was decided upon and produced. The Summit mixes technologies from both companies, using One Drop's Side Effects (shipping with Ultra Lights for a weight of 66.7g) and 10-ball bearing, but CLYW's Snow Tire response. This colorway was produced specifically for "We Are Throwers" to raise money for their project as part of an IndieGoGo campaign. It was 1 of 10 available as a perk for a $100 donation. This colorway (renamed as Tahoe) was also used for a Massdrop.com campaign where 14 more were available.